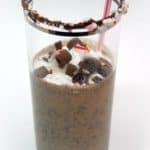 Cool creamy peppermint frappe is a delicious treat that you can make at home any time you are craving one with iced coffee, ice cream, and peppermint! How do you feel about coffee? Do you drink it daily? Do you like it hot or cold? I LOVE coffee in all forms…hot, cold, sweetened and black. I start my day off with coffee and continue drinking it throughout the day. So, when I was given the opportunity to try a new coffee product, I was ecstatic! A large box arrived at my door with 3 cartons of International Delight Iced Coffee. All I had to do to enjoy was shake the carton and pour over ice. I quickly opened the Mocha flavor and ahhhhh….delicious and creamy! Then, I sampled the Vanilla and Original flavors. They are both great too but the Mocha is my favorite. Of course, Vanessa and Zack wanted to taste the Iced Coffee. I don’t let them have coffee drinks very often but I let them each have a sample and they immediately wanted more! Later, my teen Christine arrived home and headed for the fridge. 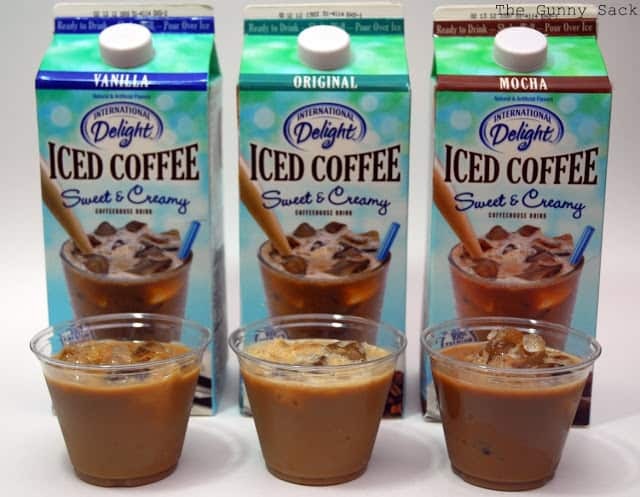 She spotted the International Delight Iced Coffee and started sputtering “Hey…What?…Is that? ?..Is that the iced coffee?…Can I have some?” Christine loves coffee, just like me, so this iced coffee was a big hit. She has been going crazy wanting to drink all of it but having to wait for me to take pictures! Cool creamy peppermint frappe is a delicious treat that you can make at home any time you are carving one! Melt 3 chocolate squares and dip a glass rim into the chocolate and sprinkle with crushed candy canes. Put the glass in the freezer so the chocolate can harden. 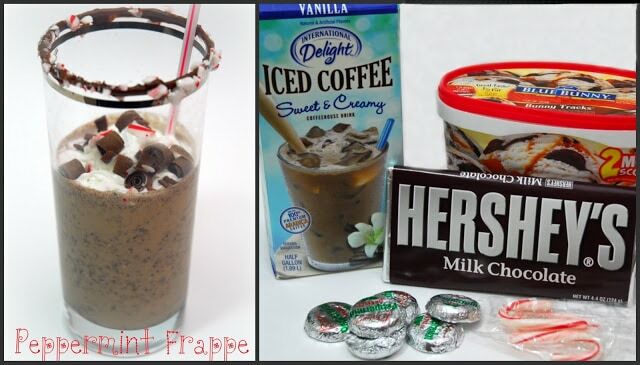 Put the ice cream, peppermint patty pieces, and iced coffee into the blender until smooth. 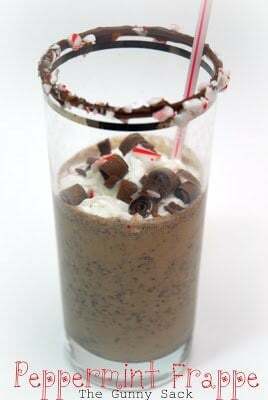 Pour into the chocolate rimmed glass and top with whipped cream, chocolate shavings, and crushed peppermints. Pour chocolate syrup into the bottom of a glass. Top with 1/2 cup of iced coffee. Pour half and half into the iced coffee. Add cream soda and stir vigorously. Fill half a glass with crushed ice. 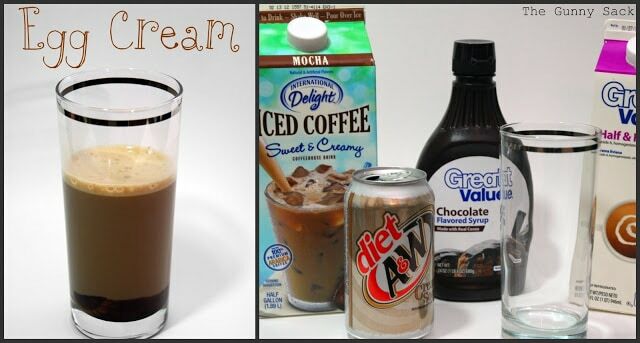 Add cream soda and top with iced coffee. This shop has been compensated at part of a social shoppers insight study for Collective Bias #CBias but all opinions, recipes and photos are my own. I just found this on Pinterest. So creative. I like ID and I am sure this tastes pretty good. Great work. These recipes look great! I love the idea of adding peppermint. All those drinks look fabulous, as well as delicious. I can’t wait to experiment with mine! MMMmmmmm coffee! That peppermint-rimmed glass looks so festive. These are awesome ideas…you are so talented! I do love the International Delight too…yum! Wonderful ideas! I will have to try some of these! Num, that totally looks so good, I want to try this one out!! Oh what a fantastic way to use these yummy iced coffees! Oh yum! These look fantastic!! OMGOSH these look soooo yummy! All I have to say is YUM. I drink iced coffee every single day of the year! 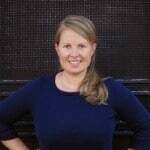 yumm Tonia…i can’t wait to try them!!! 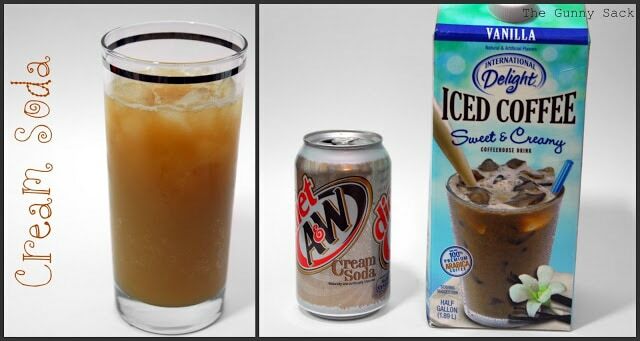 These coffee drinks sound so good…the peppermint frappe especially! !